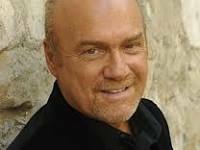 Greg Laurie – Have You Lost Sight of Jesus? After the celebration was over, they started home to Nazareth, but Jesus stayed behind in Jerusalem. His parents didn’t miss him at first. On one occasion when Jesus was twelve years old, He went missing. Mary and Joseph lost sight of Him, and it took three days of searching to find Him again. They had been in Jerusalem for the Passover, and as they were returning home, He was nowhere to be found. But here is the interesting thing: they traveled an entire day before they missed Him. It isn’t that they lost their love for Him or their faith. They just lost Him. If you’ve found that you’ve lost Jesus in the busyness of life, then you need to go back to where you were before. And the good news is that even if we lose sight of Jesus, He never loses sight of us.